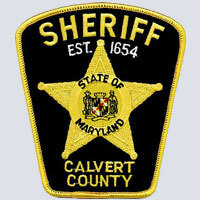 Established in 1654, The Calvert County Sheriff's Office is the primary law enforcement agency servicing over 87,000 residents and 213 square miles in Calvert County, Maryland. The current Sheriff is Mike Evans, a 27-year veteran of law enforcement. 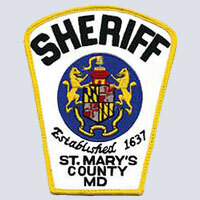 The St. Mary's County Sheriff's Office is the primary law enforcement agency servicing St. Mary's County, Maryland. It has a direct jurisdiction of 764 square miles servicing (as of 2000) a population of 86,211 people. Although, created in 1637 by James Voorhaar, the first appointed Sheriff was Lord William Baldridge in 1634. The St. Mary's Sheriff's Office is the oldest documented Sheriff's office in the United States. 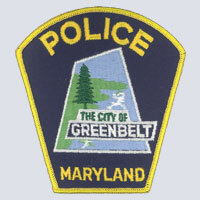 Greenbelt Police Department is committed to providing the highest quality of police services, while at the same time, maintaining respect for individual rights and dignity. The Department seeks partnership with the community in protecting public safety while achieving these dual goals. 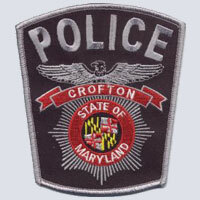 A Community Police Department Proudly Serving Crofton Since 1969 with Dedicated Service. Our officers are dedicated to the principles of Fairness, Integrity and Service. 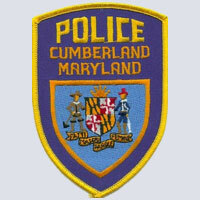 The fundamental mission of the Cumberland Police Department is to protect life and property, enforce the law in a fair and impartial manner, preserve the peace, order, and safety of the community we serve, safeguard the constitutional guarantees, and provide other police related services as required by the community in a manner consistent with the values of a free society. Historic Sykesville is proud of its Old Towne America flavor. We have taken great strides to maintain that Old Towne charm and hospitality. 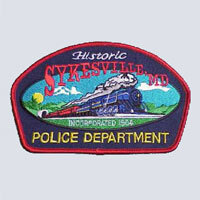 Come visit for the day and enjoy all that Sykesville has to offer the whole family. While you're in town, be sure and stop by the Sykesville And Patapsco Railway. The S&P Railway operates model train displays in a 1910 Pullman passenger car, and a 1925 vintage wood Caboose. Patch and Badge History: The shield on the patch (and badge) is the Great Seal of Maryland which was brought over from England during the early days of the colony. The shield or escutcheon bears the Calvert and Crossland arms quartered. Supermposed on the shield is the Battle Monument of Baltimore which is the City's official insignia and commemorates the successful defense of Baltimore from attack by British Forces in 1814.